← Nerds Hot and Cool – Discovered!! 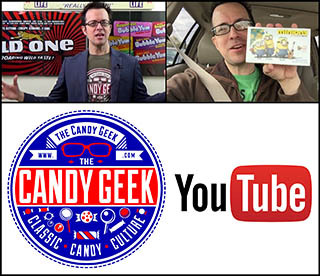 A CollectingCandy.com World Premiere!! 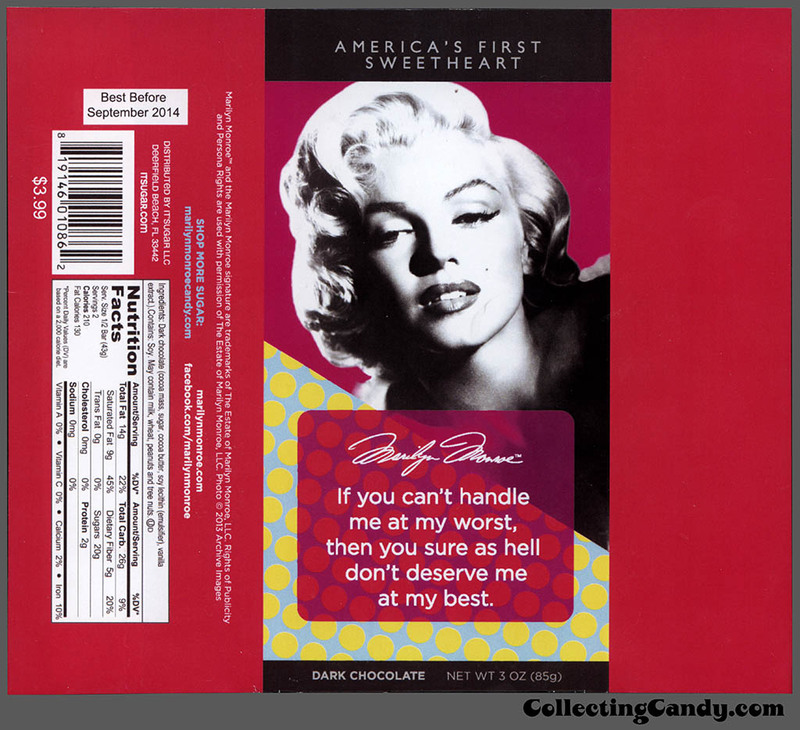 Marilyn Monroe-inspired Candy Bars (and more) from It’Sugar! 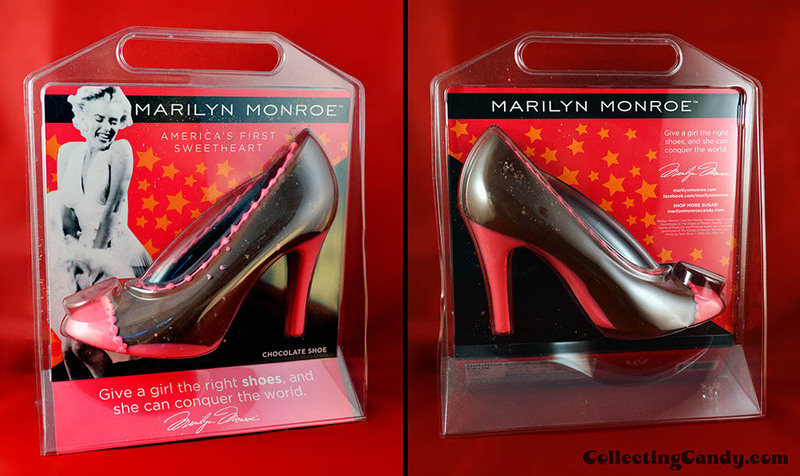 Earlier this month on June 1st, Marilyn Monroe would have celebrated her 88th birthday. 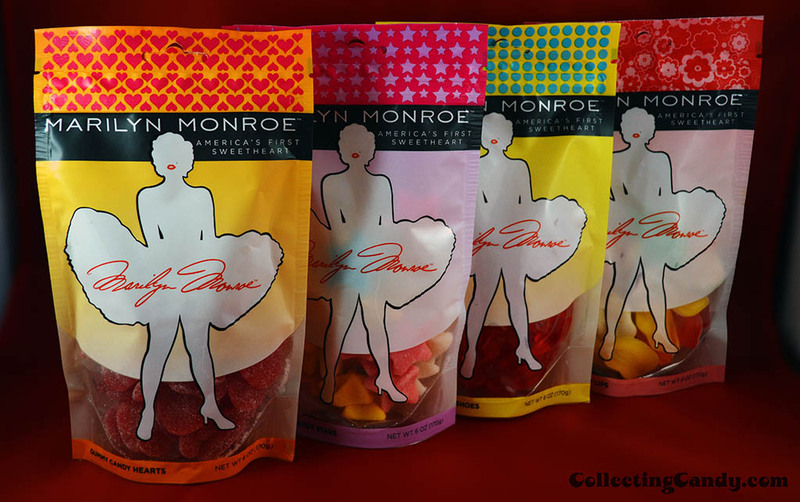 While Monroe passed away over a half a century ago in 1962, her influence and impact on our popular culture remains as strong as ever. One doesn’t have to look far to understand that she is a timeless superstar who still captivates and inspires. 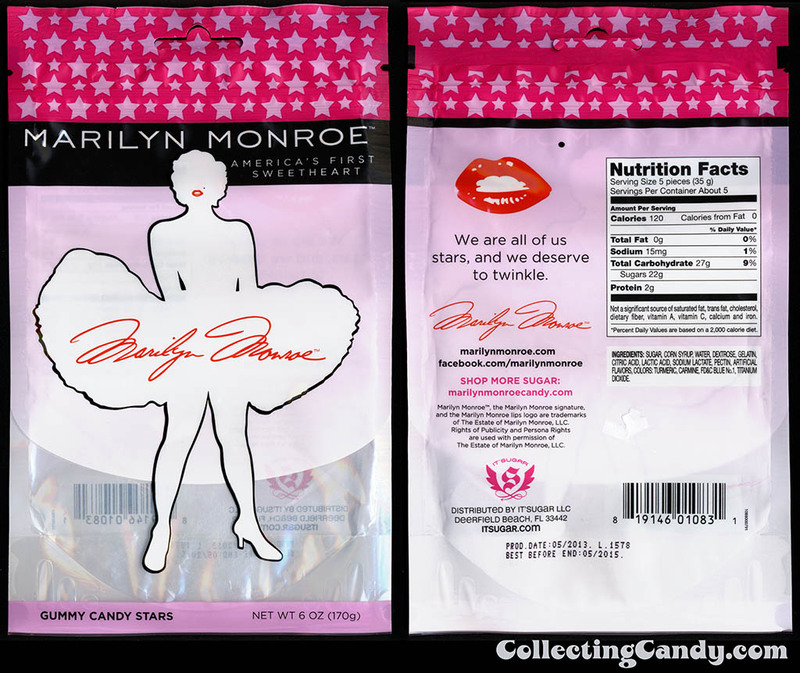 Not only that, Marilyn Monroe continues to be able to successfully promote and sell products all over the world – even candy. 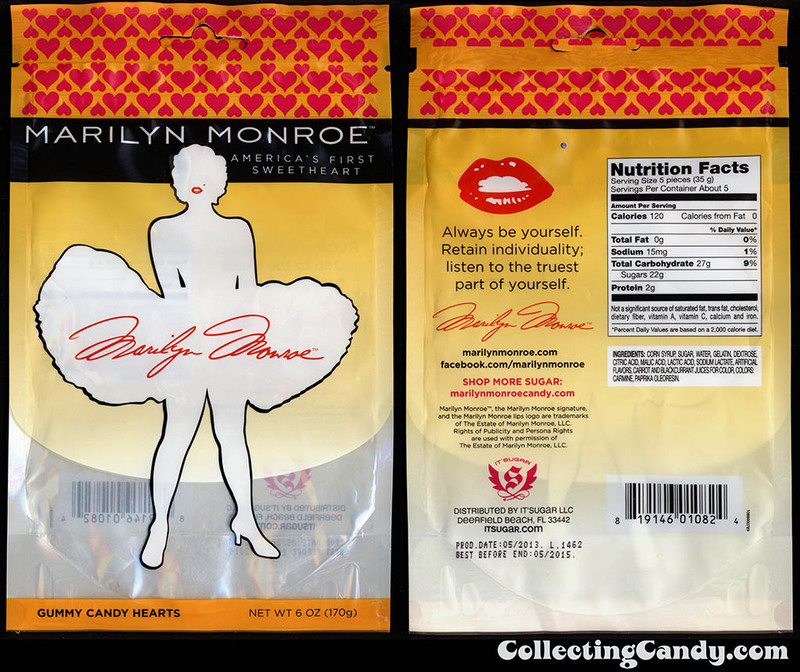 Today, we’re going to take a look at the confectionery offerings from It’Sugar that utilize Monroe’s image but also take aim to celebrate her unique spirit. 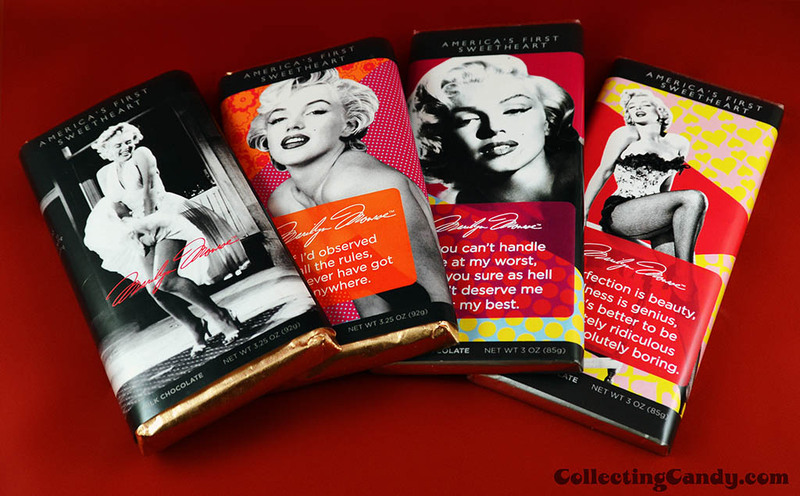 I really dig how three of the four wrappers incorporate a selection of Monroe’s more famous quotes. 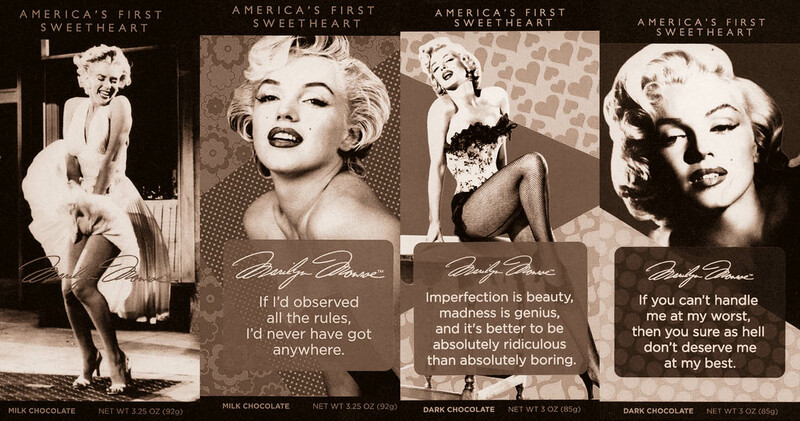 The quotes serve as lovely bits of inspiration while flirtatiously revealing her wit and slivers of who Marilyn Monroe was behind her blonde bombshell exterior. I think they did a great job on the packaging for this line. 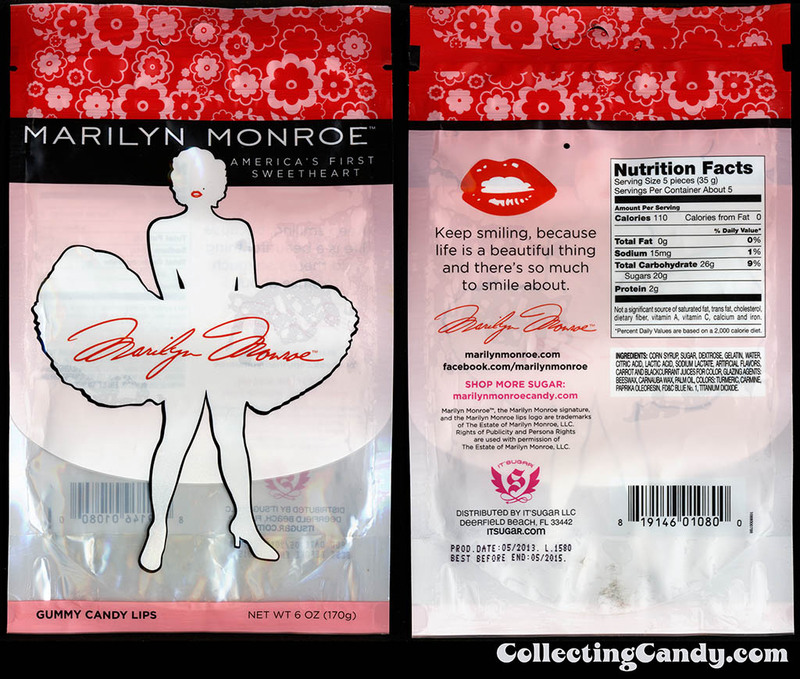 That’s everything I’ve got to share on It’Sugar and their Marilyn Monroe-inspired confectionery line. Hope you enjoyed the peek and I’ll see you next time! 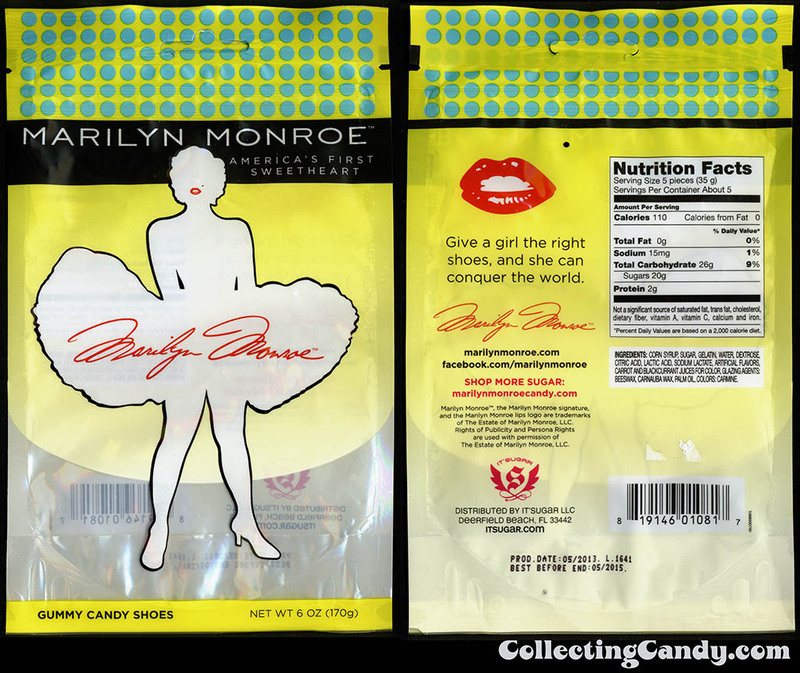 This entry was posted in Chocolate, Gummies and tagged actor, candy collecting, candy collection, candy collector, candy wrapper collection, candy wrapper collector, collectible, collecting candy, confectionery, confections, film, licensed, Marilyn Monroe, packaging, pop-culture, sweets, vintage candy wrapper, wrapper. Bookmark the permalink.